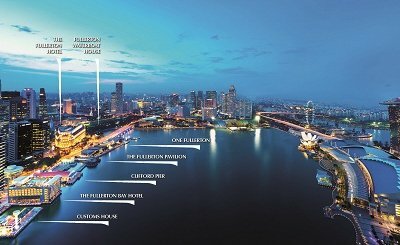 The Fullerton Heritage precinct is a world class premier lifestyle, F&B and hospitality hub consisting of The Fullerton Hotel Singapore, The Fullerton Bay Hotel Singapore, The Fullerton Waterboat House, The Fullerton Pavilion, One Fullerton, Clifford Pier and Customs House. 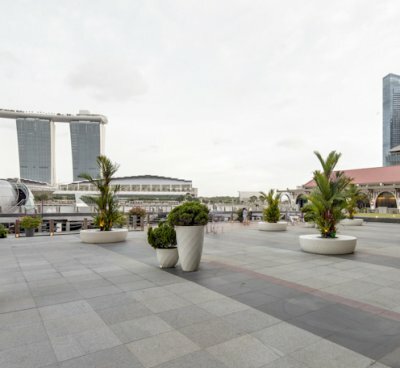 Set as the crown jewel of a glittering necklace of attractions in one of the most cosmopolitan global cities, with breathtaking waterfront views of the iconic Marina Bay, there are exciting possibilities for premier dining and lifestyle establishments. For enquiries, please contact Ms Daphne Tan at (65) 6877 8938 or email daphne.tan@fullertonhotels.com. The Fullerton Heritage is an exquisite master-planned dining and hospitality complex with unique and unconventional event spaces, featuring Clifford Square, Customs House Terrace, The Fullerton Pavilion Rooftop, The Fullerton Waterboat House Lower Patio and One Fullerton Rooftop. This waterfront development’s architecture combines the historical with the contemporary, adding vibrancy to the area’s rich cultural heritage. 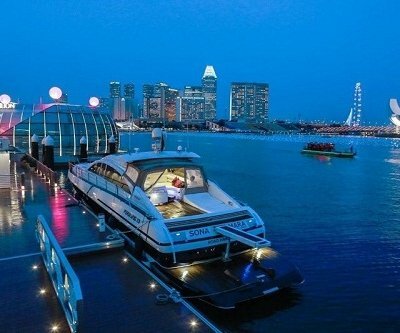 Coupled with unrivalled views of the Marina Bay, these venues are ideal for various lifestyle launch events, conferences, corporate functions, and intimate cocktail parties. View our Event Spaces Video here. Situated in the heart of the Singapore's iconic Marina Bay waterfront, The Fullerton Heritage Marina is part of the dining and hospitality hub consisting of The Fullerton Hotel Singapore, The Fullerton Bay Hotel Singapore, The Fullerton Waterboat House, The Fullerton Pavilion, One Fullerton, Clifford Pier and Customs House. The Marina features two berthing facilities at The Fullerton Pavilion Finger Jetty and the Customs House Jetty, as well as a vessels pick-up/drop off point at the historical Clifford Pier. The facilities are equipped with power and water supply points, 24-hour security service, catering services and yachts for hire.